Bella's Beauty Spot: Mally's 7th Anniversary! Mally Beauty is celebrating its 7th Anniversary this month (March)! As the President and Creator of Mally Beauty, Mally Roncal has created countless beauty products, including trailblazing beauty solutions from “bulletproof’ makeup that stays put all day long, to the first clear and powderless translucent powder. 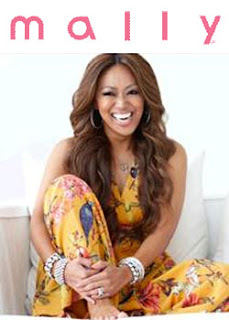 After years of working with A-list celebrities, Mally took the next step in her career to create Mally Beauty and over the past 7 years has been able to provide women worldwide with her unique tips, tricks, and, most importantly, tools to empower them to achieve the looks they crave most. So make sure you give Mally a big happy Birthday wish on her Facebook wall or Twitter page! Have you tried Mally's Shape and Shimmer Palette? It's my absolute favorite Mally must have, review to come!